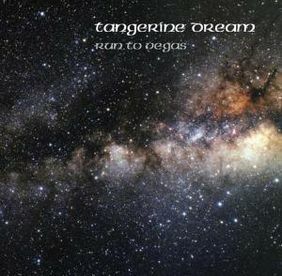 Run To Vegas is the second part of a vinyl re-release of the album The Electronic Magic Of Tangerine Dream (2008). The first part had been released as Mysterious Semblance At The Strand Of Nightmares a few months before. The package consists of a 180g vinyl LP with an additional CD containing the same music (plus a 'bonus' track that did not fit on the LP) and is created by Lilith Records, a Russian reissue label that since 2004 has re-released a number of Rock albums on 180-gram vinyl and compact disc for Western markets. This compilation does not contain any new material.